KONYA, Turkey (AP) — Every December, thousands of people make a pilgrimage to the central Turkish city of Konya for 10 days of ceremonies and events commemorating the death of the 13th-century Islamic scholar, poet and Sufi mystic Jalaladdin Rumi. Rumi, also known as Mevlana, was born in Persia but settled in Konya, where he died and was buried 745 years ago. His death brought the establishment of the Mevlevi order of the mystical form of Islam, Sufism. 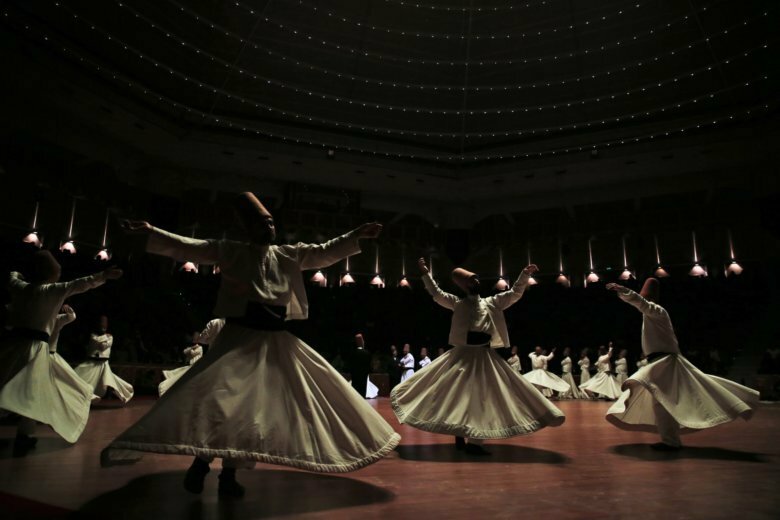 The dervishes, who are followers of Rumi, mark the anniversary of his Dec. 17 passing — known as “Sheb-i Arus” or night of the union — as a celebration of his reunion with the Divine. Rumi himself believed death was a moment for rejoicing in the union with God. With one hand pointed toward the sky — or heaven and God — and the other toward the ground — or earth — the dervishes perform their dance, known as the Sema. They spin repetitively in prayer, chanting Allah and gaining in speed, as they seek to lose themselves in a spiritual trance that they believe unites them with God. Although Turkey had banned religious orders in the early 1920s, the dervishes were largely tolerated and became the symbol for Turkey’s tourism campaigns. Rumi’s tomb in Konya attracts tens of thousands of tourists and pilgrims each year. “Come! Come again! Whoever, whatever you may be, come! “Heathen, idolatrous or fire worshipper, come! “Even if you deny your oaths a hundred times, come!